A phone ringing in the middle of the night is probably an emergency. 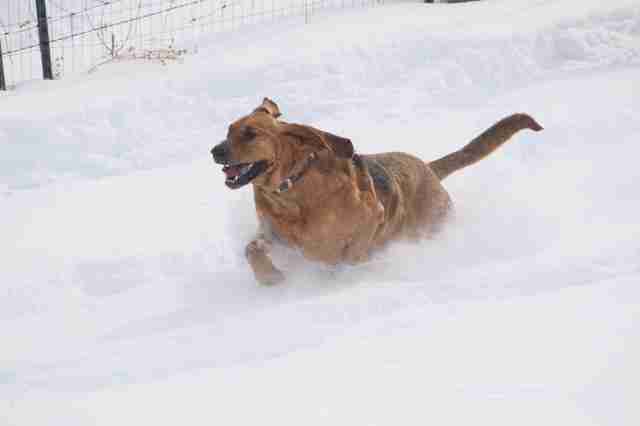 Radar can tell; he’s been working in emergencies all 5 and a half years of his life. When his owner, Frank Hurst, goes to grab his uniform and gear, Radar’s suspicions are confirmed. He bounds to the front door and then back to the bedroom, baying excitedly until his teammate is ready to go. 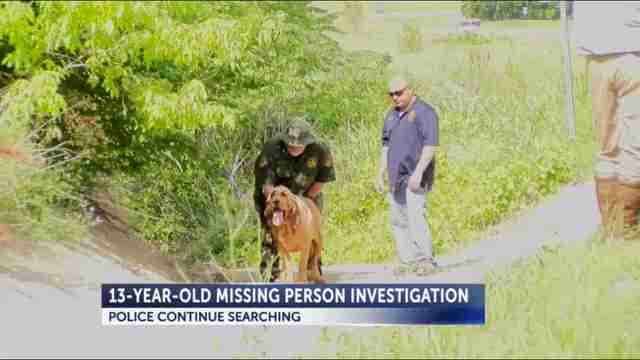 Hurst and Radar live in Elbert County, Colorado, but have helped solve missing persons cases, homicides and other crimes all over the United States. 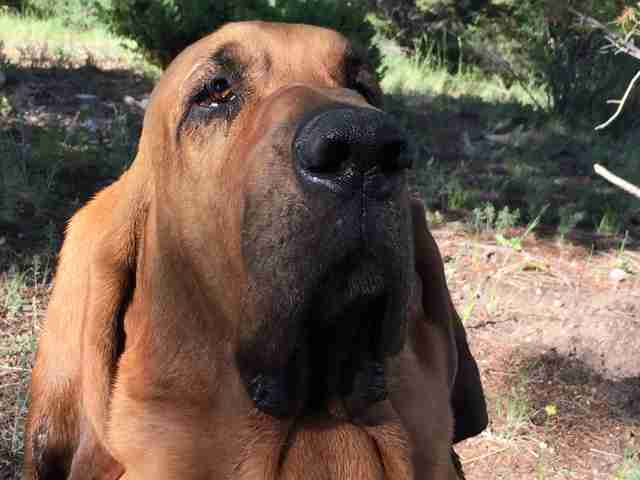 Their unique day job is at Bloodhound Man-Trackers Inc., a 501c3 nonprofit started by Hurst and Brian Eberle, Hurst’s friend and fellow bloodhound handler, when they realized the financial limitations of those they wanted to help. 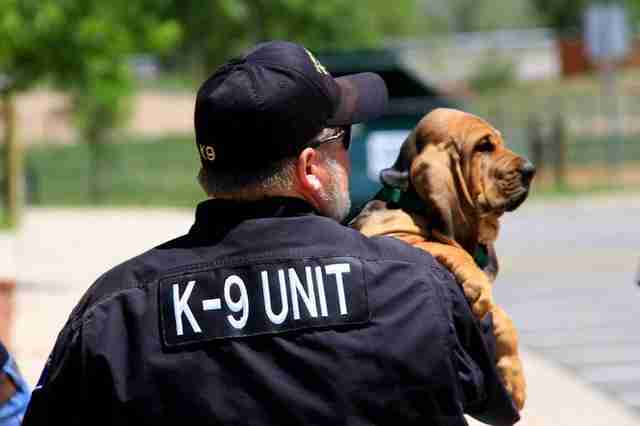 Many police departments can’t afford their own K-9 units, and working with a K-9 agency can be expensive, too. “It’s our passion to help bring closure to families,” Hurst tells The Dodo. “Can you imagine what it is like to have a missing loved one? 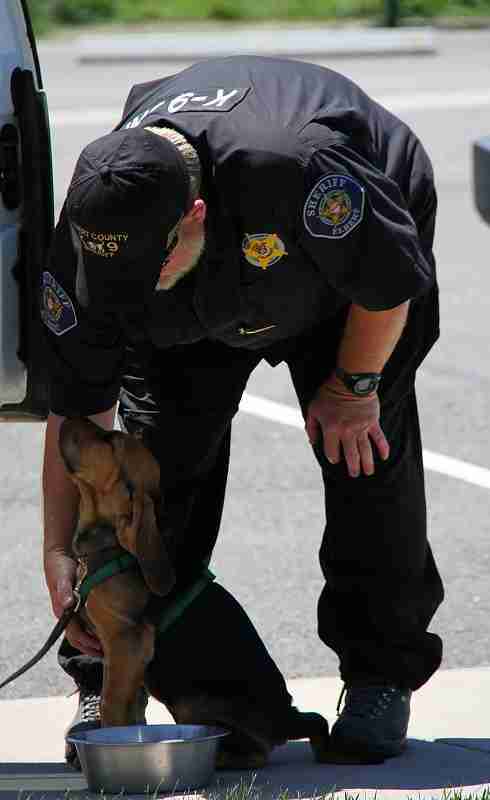 Never knowing.” It’s a tough job, but one that the bloodhound is extra well-suited for. 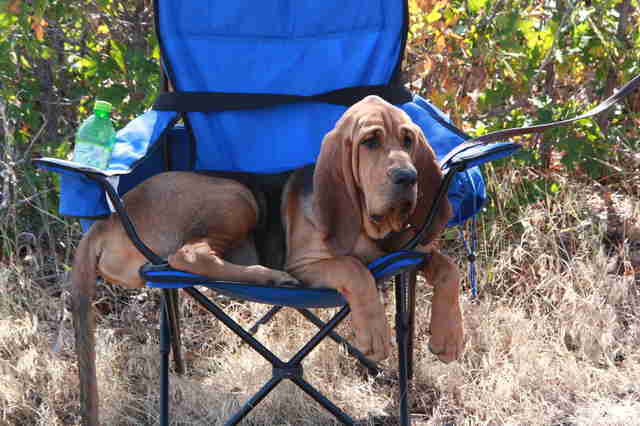 Hurst trained Radar starting at 9 weeks old, when the bloodhound was just a puppy, eager to learn and play. Radar learned to track, which means looking for actual tracks on the ground, footstep to footstep, as well as trail, which means following a scent trail that could be on an entirely different path due to weather and the environment. Radar’s first case was finding a wanted person who'd abandoned his vehicle and left on foot. Radar expertly picked up the trail: north down the road, west on another road for almost a mile, south down a driveway and up to the front door of a home. They apprehended the suspect in the basement. Radar and Hurst’s relationship really solidified on a September morning when Red, the K-9 Hurst had loved and worked with for years, passed away. “I held Red and cried as I thanked him for working so hard for me and helping so many people, but most of all for being my friend and partner,” Hurst recollects. 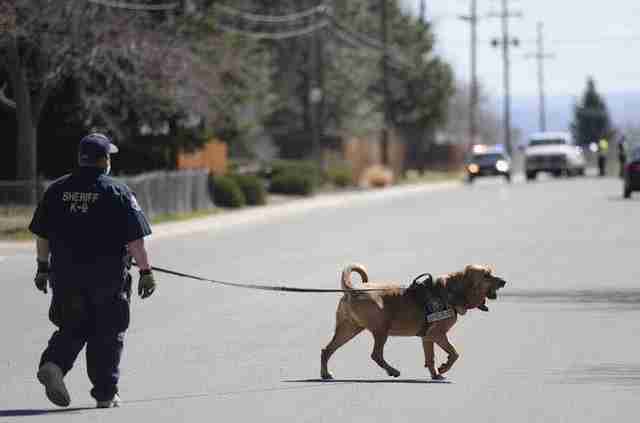 Just 12 hours later, around midnight, Hurst and Radar were called to assist on a case. Hurst had just lost a friend and trusted partner, and the mood was somber. An hour in, trailing diligently, Radar became animated. “That’s when I knew K-9 Red was with Radar and I in spirit,” Hurst says. They closed the case — a missing woman — shortly thereafter. 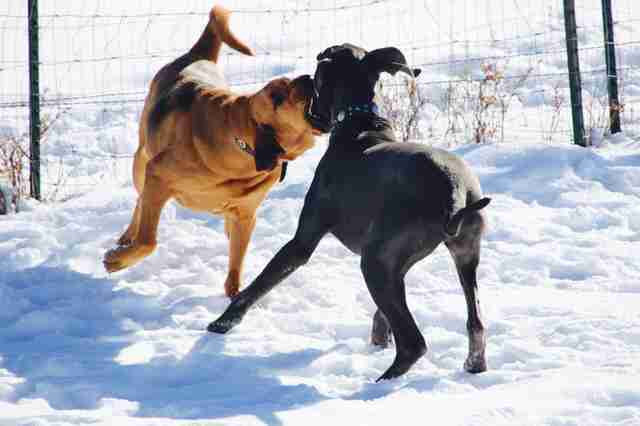 On his off days, the bloodhound loves running and playing with his “brothers from another mother,” as Hurst calls them — Sky the Great Dane, Kilo the Belgian Malinois and a yellow Labrador named Omaha. “Radar works hard and plays hard,” Hurst says. But mostly he “just follows me around while I work in the yard or do chores,” Hurst says. 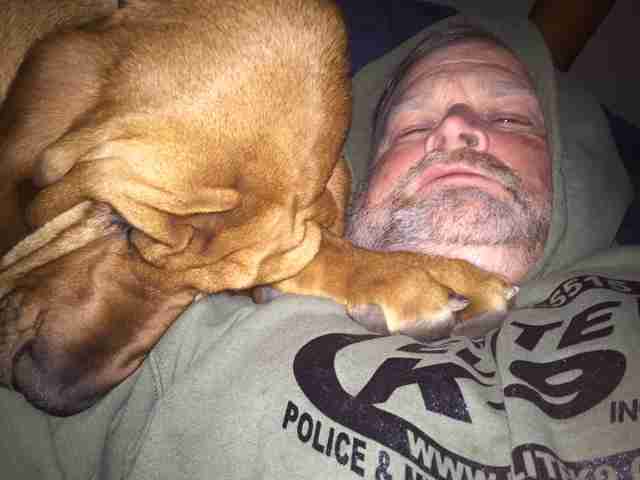 “Radar is my best friend and a family member; we are very close,” he says. The two of them both feel the stress of what they do and see, and find comfort in each other when they recharge their batteries.